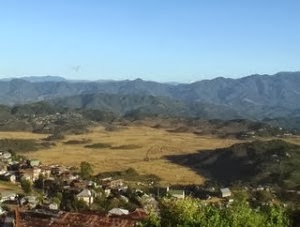 Aizawl, Feb 17 : The people of Chawngtlai, whose village is one of the important villages in southeast Mizoram in Champhai district, are all enthusiastic to declare their village as "Historical Village' on coming February 21 . The historic day is anticipated to mark with showcasing traditional way of warfare and headhunting alongside with displaying the tradition of Mizo heroes celebrating their victory by hanging their enemy heads at a raised ground. During their interaction with media last Friday, Chawngtlai Welfare Committee told reporters that it has finally decided to declare Chawngtlai as 'Mizo Historical Village' as there are traces of Mizo forefathers- their artifacts and antiquities which are of historical importance. According to Chawngtlai Welfare Committee there are a number of historical artefacts related to Mizo heroes which can serve as cultural heritage of the state. Among the artefacts and antiquities are 'Sahlam' a place where heads of Pawih enemy were hanged by Chawngtlai king Nikuala and his brave worriers; first graveyard in Mizoram; Zawlbuk (a bachelor house established in 1932) and monuments and monoliths related to the Hmar tribe one of the major tribes of Mizo such as stone statue, Hranglung (stone erected in memory of wild beast or monster hunted), Hmar Lungtat (stone used for sharpening sword or spear), Lal Nikuala in (King Nikuala's palace), Pasaltha Hranghleia thlan (great warrior Hranghleia's grave), Lal Lungdawg (king's gravestone), Lalruanga lung kah keh (a stone fired into segment by Lalruanga, one of the well known Mizo heroes among Hmar tribe), Lungsen (a stone used to see luck) and a stone erected in memory of Biaklawma who is known to be the first to composed poem for commemorating child birth. Besides, important monuments like Great Cave, the Lasi Cave (a cave identified with house of fairy lady) and Hringei Puk (cave where men are eaten alive) are also among the antiquities found at Chawngtlai village.